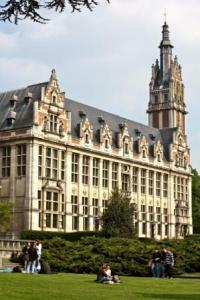 ULB, with its 24,000 students and 5,000 staff, is one of the leading French-speaking universities in the world. It is a multicultural university with 33% of its students and 20% of its staff coming from abroad. The ULB has 13 faculties, schools and specialised institutes that cover all the disciplines, closely combining academic education and research. It offers almost 40 undergraduate programmes and 235 graduate programmes. It also partners 20 doctoral schools, with almost 1,600 doctorates in progress. 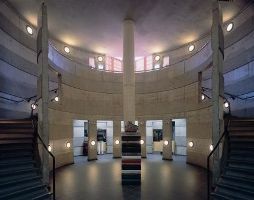 With its four Nobel Prizes (three Scientific Nobel Prizes, one Peace Nobel Prize), one Fields Medal, one Abel Prize, three Wolf Prizes, two Marie Curie Awards, the ULB is also a major research university of worldwide standing in the academic community. Over the past few years, it has obtained 7 Starting Grants and 2 Advanced Grants from the European Research Council (ERC). Its Institute for European Studies is recognised as a "Jean Monnet European research centre" for its work on European integration. ULB currently participates in 120 international and European joint research projects. It participed in 76 EU FP6 projects and in 73 EU FP7 projects to date. Collaboration with universities from around the world has been stepped up in both education and research. The ULB has 360 Erasmus partnerships, and 250 agreements with European and international universities. It coordinates one Erasmus Mundus Joint Doctorate and one Erasmus Mundus Joint Master and is partner in four Erasmus Mundus Action 2 programmes (India, China, Brazil, Japan-Corea). ULB launched UNICA, a network of 45 leading European universities that encompasses over a million students. 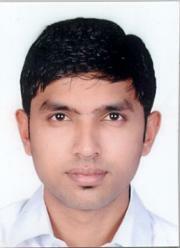 It is also a founding member of the International Forum of Public Universities (IFPU). ULB has extensive experience in co-tutelle de thèse. For example, 13% of the Doctorate diplomas obtained in 2009-2010 were realised in co-tutelle. Further, in 2010-2011, 176 ongoing doctorate theses are realised in co-tutelle. The Department of Computer & Decision Engineering (CoDE) is composed of three laboratories of the Engineering Faculty: the Artificial and Swarm Intelligence Laboratory (IRIDIA), the Laboratory for Web and Information Technologies (WIT), and the Operational Research Laboratory (SMG). The aim of the department is to join the expertise of the three laboratories for realizing innovative research, in particular in the area of business intelligence. The department gathers 11 full-time professors, 50 researchers and PhD students, and 4 administrative/technical support staff. The department participated in numerous research projects, in particular, one ERC Advanced Grant, two FET projects (one as coordinator), one ARIADNA project of the European Space Agency and one Marie Curie Initial Training Network. Prof. Dorigo is the inventor of the Ant Colony Optimization metaheuristic for combinatorial optimization problems. He has received prestigious prizes including Cajastur International Prize for Soft Computing, the five-year FNRS Scientific Prize (Belgian Fund for Scientific Research), and the Marie Curie Excellence Award. The research of the department have given rise to three spin-off companies. The Laboratory of Web and Information Technologies (WIT) has for years done cutting-edge research and development in the field of databases and business intelligence. The Laboratory currently consists of 11 researchers (including three full-time professors and three postdocs) and two administrative/technical support staff. The laboratory's research focuses on data and information management, both in classical information systems settings (e.g., relational databases, data warehouses) and on the Web. In this respect, particular attention is paid to the following topics: Data Warehousing and Business Intelligence, Spatio-Temporal and Geographical Data Management, Scientific Databases, and Web Information Management. ULB-WIT is coordinator of the EMMC "Information Technologies for Business Intelligence" (IT4BI) and participates in the EM Action 2 program EM-BEAM (Japan and Korea). It co-organises the "European Business Intelligence Summer School" (eBISS) since 2011. Prof. Zimányi co-organised the Dagstuhl Seminar "Data Warehousing: Status Quo and Next Challenges", that took place in September 2011. He will also co-organise with TUD the Dagstuhl Seminar "Models, Systems, and Algorithms for Role-based Business Intelligence Applications", which will take place in March 2016. Prof. Zimányi is Editor-in-Chief of the Journal on Data Semantics (JoDS) published by Springer. Learn more about the IT4BI-DC team at Bruxelles.